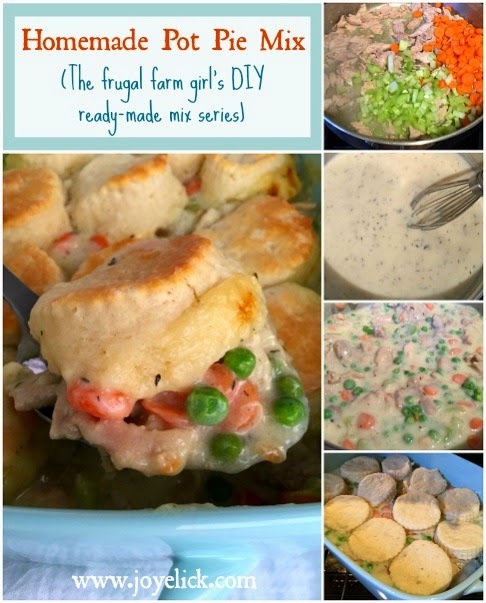 Homemade POT PIE MIX (plus a recipe for EASY CHICKEN POT PIE): The frugal farm girl's DIY ready-made mix series. Who does't love chicken pot pie? It's an all-American comfort food, to be sure. But how often does pot pie make it onto your menu plan? Maybe it's the idea of having to make a traditional crust. Let's face it, crusts are wonderful (and a total farm-girlish thing to make), but crust making doesn't always fit into a busy girl's schedule. That's why I'm excited about today's post! 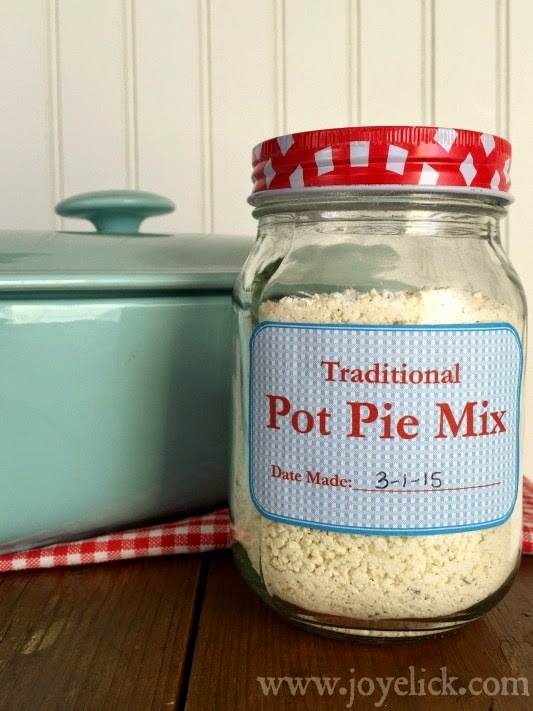 Today, I'll show you how to make a savory Pot Pie Mix to add to your growing collection of homemade ready-made mixes. 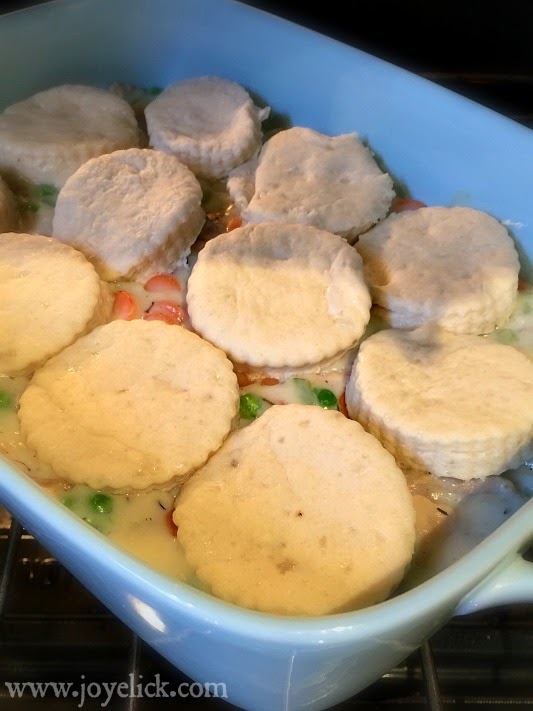 Then I'll show you how to make yummy chicken pot pie (with biscuit topping), using today's mix along with the Country Biscuit Mix we made a couple weeks ago. When you stock your pantry with these two DIY mixes, preparing a pot pie meal for your family is a breeze, even when time is in short supply. Are you ready? Then let's get started! In a large bowl, thoroughly combine all ingredients with a whisk. Store the mix in a pint-size jar in your pantry. 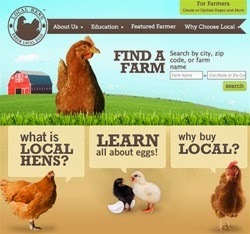 Use within 1 year. Each jar of mix makes 1 pot pie. Once you see how easy it is to make pot pie, and how tasty, you'll want to make more jars of Pot Pie Mix (so you might as well make a bunch to begin with)! (Check out the downloadable labels for your mixes below). Step 1: Cook the meat and veggies. Heat the butter in a large skillet until melted. Cook the chicken thighs in the butter, using two forks to shred the meat as it cooks. 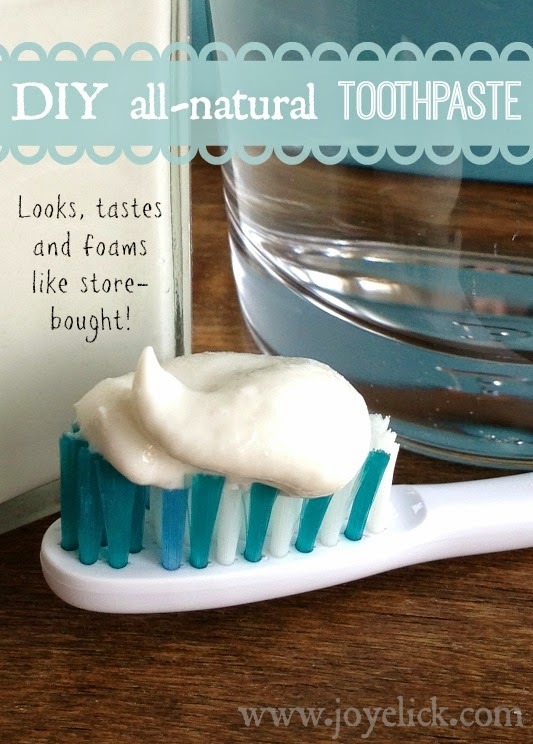 (Add a couple tablespoons of water for added moisture if necessary.) 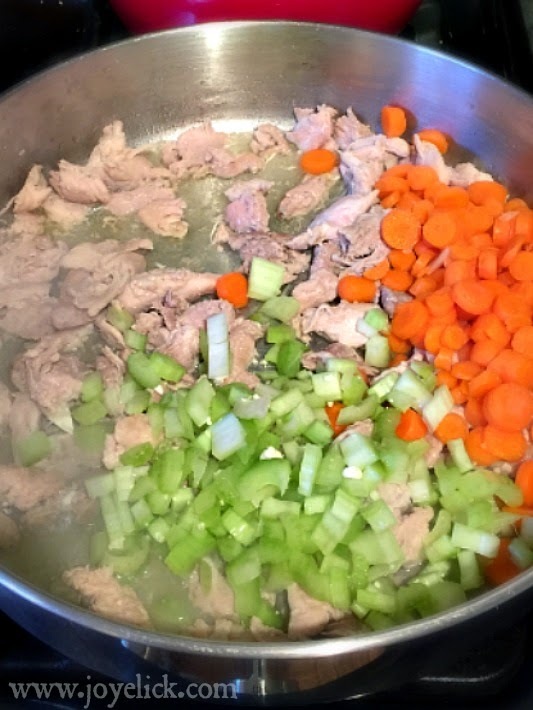 When the meat is cooked, add the celery and carrots. Cook until the veggies become tender (about 4 minutes). When the veggies are tender enough to easily cut with the edge of a fork (but not so soft that they mash), remove from heat and set aside. Preheat you oven to 415 degrees. PANTRY TIP: Try keeping shredded chicken on hand in your freezer in 2-cup servings for easy meal prep. You'll cut your dinner prep time down dramatically. Step 2: Cook the filling. 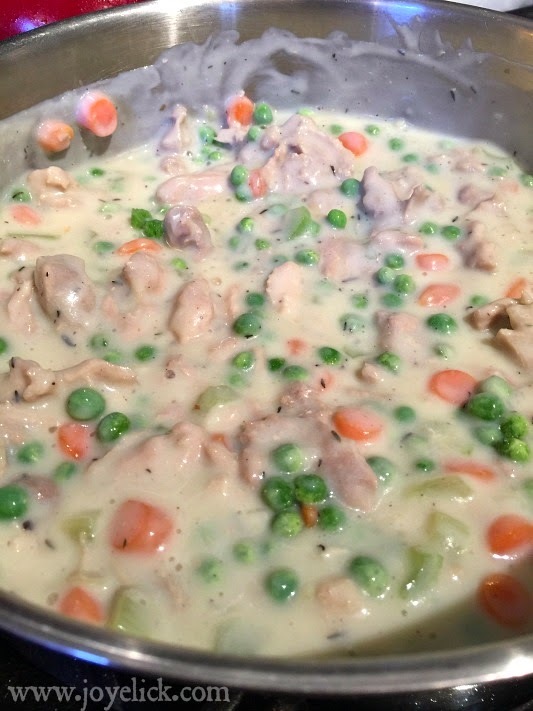 In a medium saucepan, combine the jar of homemade Pot Pie Mix, water, and chicken broth by whisking the water and broth into the dry mix a little at a time. 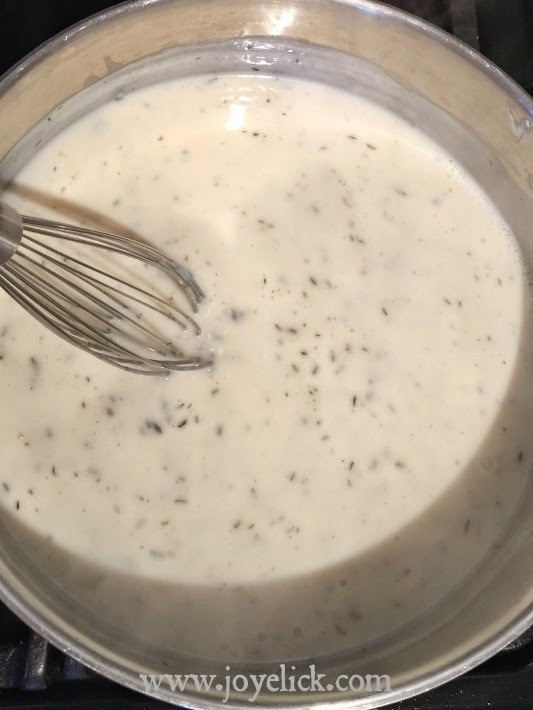 Then cook over medium-high heat, whisking constantly until the mixture thickens to the consistency of gravy (about 2 minutes). Step 3: Combine all filling ingredients and partially bake. Combine the prepared filling mix with the chicken and veggies. Stir in the frozen peas. Place the mixture in a 9X13 casserole dish and bake at 415 degrees for 15 minutes. Step 4: Prepare the biscuit topping. While the filling bakes, follow the instructions for using your homemade Country Biscuit Mix, if you've made it earlier in this series, or CLICK HERE for the recipe and instructions. Prepare the biscuits just as if you were planning to bake them as is, only you'll place them as a topping on your pot pie dish instead. You'll need approximately 12 biscuits to top your pot pie. Step 5: Top the pot pie with the cut out biscuits and finish baking. When the timer rings, remove the filling from the oven and arrange the cut biscuits in three rows to cover the top. Place the dish back in the oven and bake for another 10 to 12 minutes, or until biscuits brown. Step 6: Serve and enjoy! 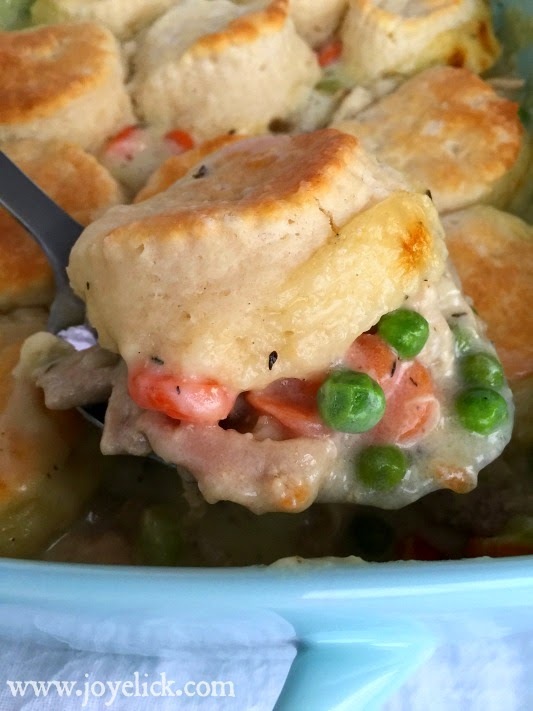 Allow pot pie to cool 5 minutes before serving, then dig in! Print the instruction labels twice for 8 labels. 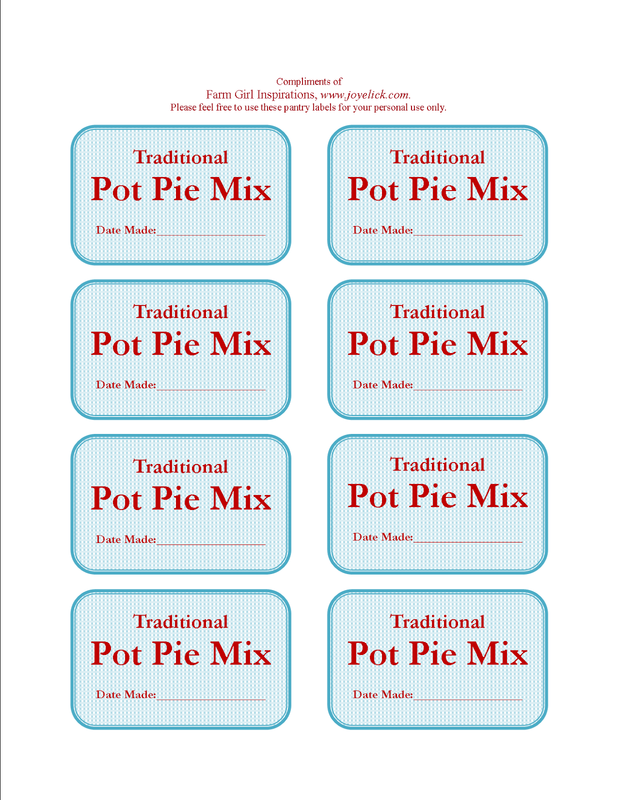 CLICK HERE to download your free Pot Pie Mix Labels. 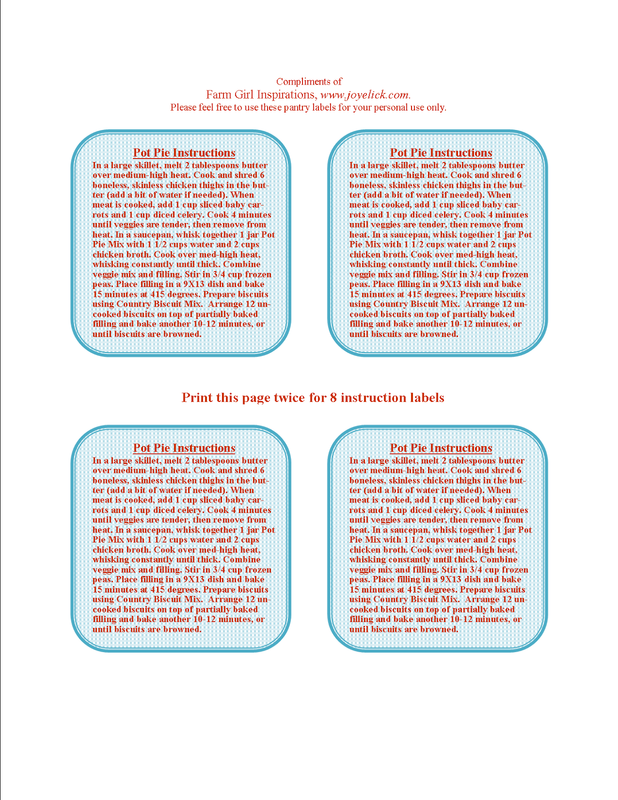 CLICK HERE to download your free Pot Pie Mix Instruction Labels. CLICK HERE to see an index of the posts in this series! LET'S CHAT...What's your favorite easy-to-prepare dinner? Can any part of it be made into a ready-mix to make it easier and faster to fix? What are your thoughts on using homemade ready-made mixes? I'd love to hear from you in the comments below.